Profits at Associated British Foods have surged as low-cost fashion retailer Primark has continued to power sales and the company’s sugar business enjoyed a highly anticipated recovery. The food-to-fashion group recorded a 51pc leap in statutory pre-tax profits to ?1.5bn while adjusted operating profits grew by 22pc to ?1.3bn. Group revenues also jumped by 15pc to ?15.4bn. The company has also been boosted by the sterling slump in the wake of the EU Referendum as around 60pc of ABF’s sales and profits are now generated outside the UK. The group’s AB Sugar division also benefited from an increase to EU sugar prices a due to a reduction in supply. The company warned that sugar prices will fall again next year after the EU abolished production quotas, which dragged ABF’s share price down by 130.3p, or 3.9pc, to ?32.12 despite the boosted profits. ABF said that it was also concerned about “the risk of abrupt changes to the UK’s customs procedures” following Brexit and said it welcomed the Government’s the Government’s intention to have a transition period beyond March 2019. Despite concerns about flagging fashion growth, ABF continues to be propelled by Primark, which reported a 19pc rise in revenues to ?7bn. UK sales were 10pc higher than in 2016, with around half the growth coming from 11 new store openings. Chief executive George Weston, whose family controls ABF, said that Primark had lured more shoppers after lowering its prices at a time when fashion rivals were raising theirs to cover higher import costs. The decision to keep prices low at Primark has led to the retailer’s operating profit margins falling to 10.4pc from 11.6pc the previous year. 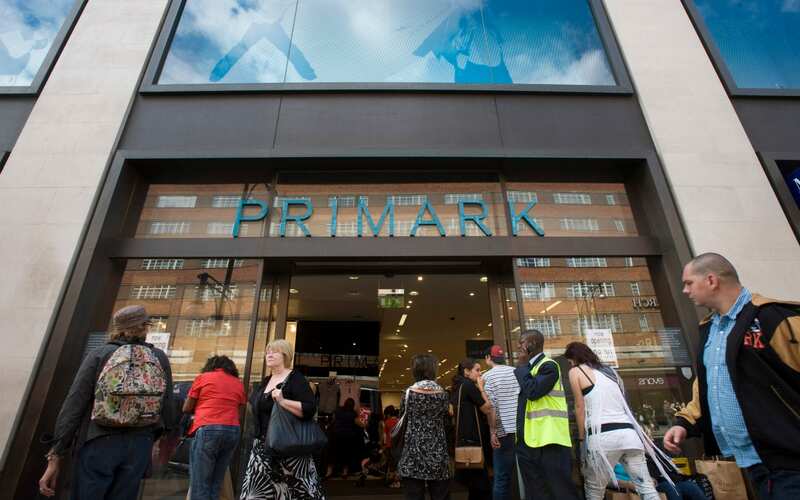 “With Primark deciding not to pass on higher costs to consumers this year, it has remained price leader in the UK clothing market”, said Charlotte Pearce, analyst at Global Data. Primark has grown its market share faster than any of the other top ten clothing retailers over the past five years and now has a grip on 6.9pc of the market. “We have shown that the lowest prices in the UK are to be found on the high street”, said Mr Weston. “As long as we engage with our customers online we can win them into our stores”, he added. Despite the rampant growth of online shopping Primark has still shunned having a transactional website but has 10m visits to its webpage and social media sites a week as shoppers research their purchases. Recent BRC figures show that non-food retail sales fell to their lowest level since 2012 in October as unusually warm weather dampened demand.